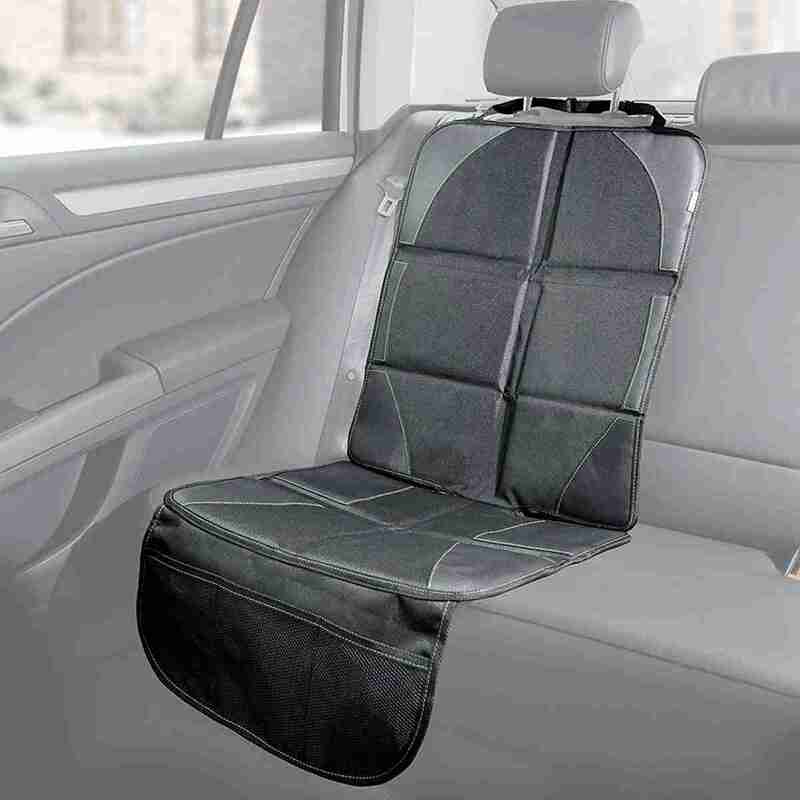 The Venture Car Seat protector helps prevent damage to your cars rear seats from things like baby car seats and drink spillages. 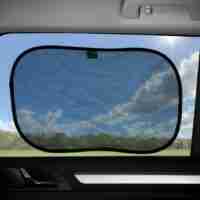 The protector covers create a durable waterproof barrier between the surface of the seat and the car seat. Features handy storage compartments for your little ones favourites toys and books. A car seat is part of everyday life when you have children, there’s always the chance that they could damage the seats of your car and repairing them can be costly. 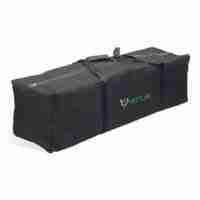 Venture Car Seat Protectors have a thick and durable lining to prevent this. It creates a lining between the seats of your car and the base of your car seat, negating any potential scuffs, rips or stains that could occur with day to day use. 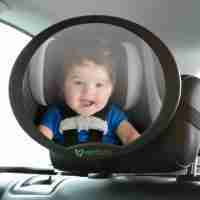 Fitting the Venture Car Seat Protector couldn’t be easier. Simply position the adjustable strap around the headrest of the seat and clip and unfold. 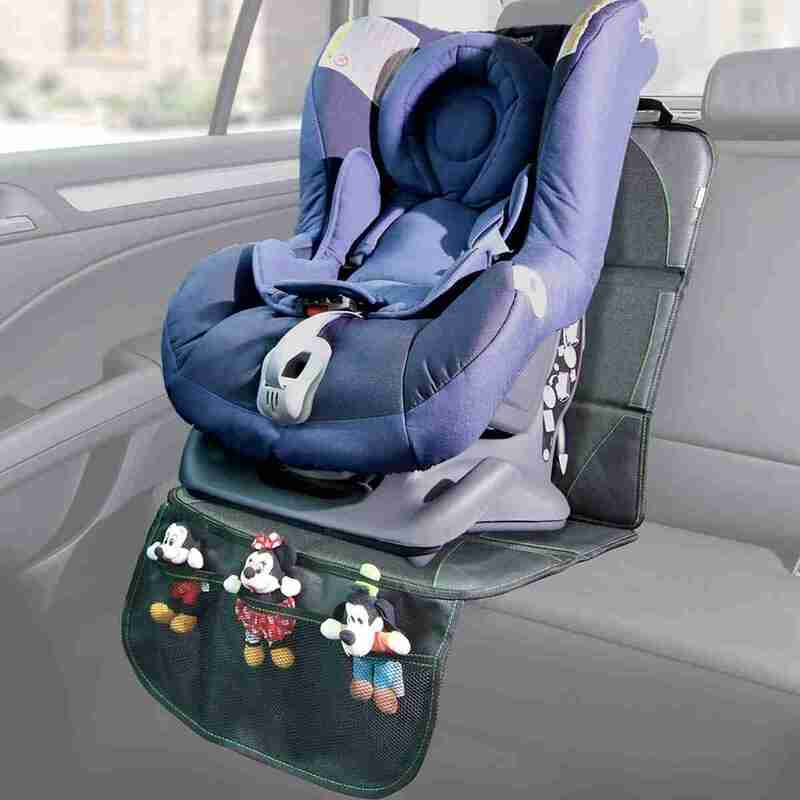 Once your happy that the protector is in the correct position, fit your car seat safely and securely to your car. 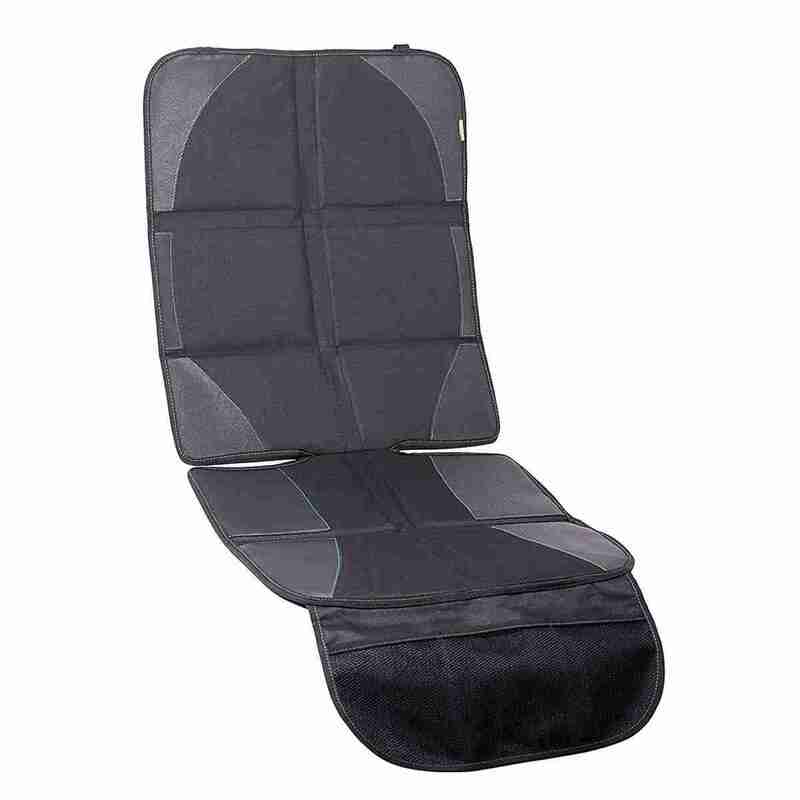 The Venture car seat protector also features handy storage pockets on the bottom fold of the cover. These clever elastic mesh nets are a great way of storing any of your baby or childs essentials, that you may need to get access to whilst traveling. Perfect for your little ones favourite bottles or toys.